Scottish and Southern Energy is made up of 4 companies- Southern Electric, Scottish Hydro, SWALEC (in Wales)and Airtricity (in Ireland) serves around 5 million customers and around 500,000 businesses with gas and electricity around the country. Scottish and Southern Energy boasts about its great customer service with its 100 offices located all over the country meaning its employees offer a wide variety of skills and expertise. Scottish and Southern Energy claims to be the largest generator of renewable energy in the UK. The renewable energy comes from Wind, Small Scale Hydro and Biomass. There are wind farms off and onshore which are currently under development and more research for technologies which will be beneficial in the near future. Fixed Price Contracts (Energy Only) have a fixed energy part depending on the energy market when the contract is signed but the cost for the transmission through the National Grid and distribution networks is charged as it falls. There are also contracts which are available which are flexible and are not fixed but instead are paid dependent on how the market fluctuates. These types of contracts are usually more suitable to larger businesses. 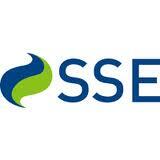 Flexible Supply Contracts-many SSE Large business customers already take advantage of the flexible contracts. Baseloads and load patterns are calculated to form the costs. The load pattern periods have a cost agreed and fixed and then you choose the when to purchase the base periods. Fixed term or flexible contracts are available. Scottish and Southern Energy have a Business Energy Siteworks team. This allows a service where should you require new infrastructure, a new energy supply or metering upgrades, there is a team available to assist you from start to finish. The team has expertise in: New meter connections and reconnections, Infrastructure installation, Meter upgrade or downgrade, Meter relocation, Removal of redundant meters, Electricity and gas supply contract suitable to your needs. Scottish and Southern Energy provide services to make the management of your account easier, access to half-hourly energy usage data and bills can be seen online. If a more detailed analysis is required it can be also be downloaded online. Scottish and Southern Energy own over 60 hydro electric power stations and have invested millions of pounds to refurbish them. They also aim to build a conventional hydro electric power station, which will be the second largest in the UK. Scottish and Southern Energy own 4 wind farms and have a large scale hydro plant.